Summer Stanwyck is trapped. She tends bar on the island she grew up on, the local cop is about to become her ex-husband, and she’s wasting time screwing the local reefer kingpin. But when a bag full of cash and drugs appears, she sees a way out... and anyone who gets in her way is shark bait. 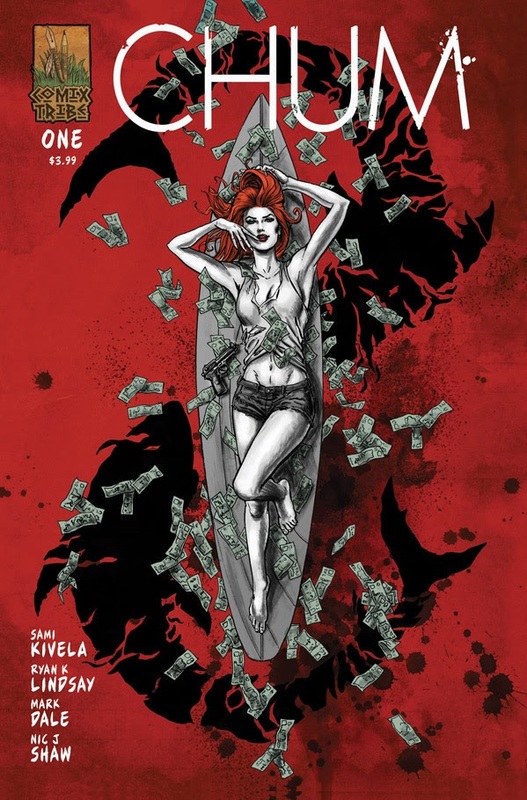 CHUM is "Pulp Fiction on the sand," a surf noir story straight off the drugstore paperback rack that will ruin your faith in people, from Sami Kivela [artist on Zenescope’s REALM WAR] and Ryan K Lindsay [the writer of Dark Horse’s NEGATIVE SPACE]. 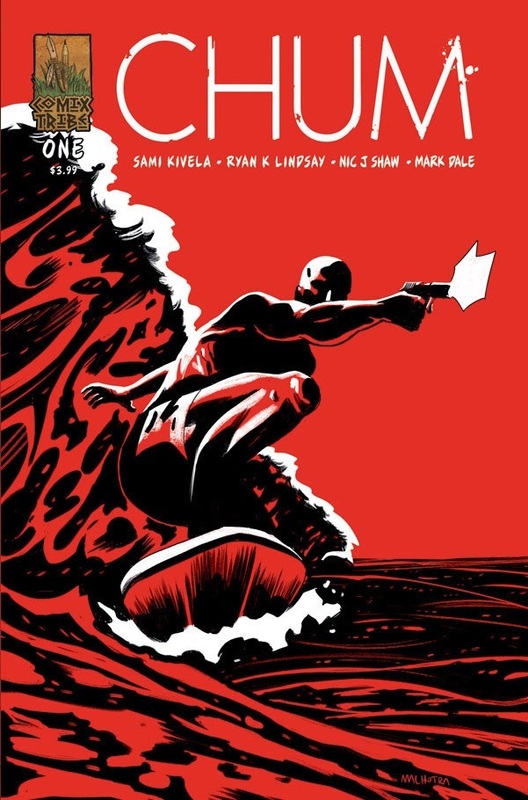 Featuring covers by Sami Kivela (E is for Extinction) and a rare variant by Vic Malhotra (Roche Limit), CHUM is a surf noir story straight off the drugstore paperback rack that will ruin your faith in people, and keep you away from the water.